Do you love decorating for the holidays? 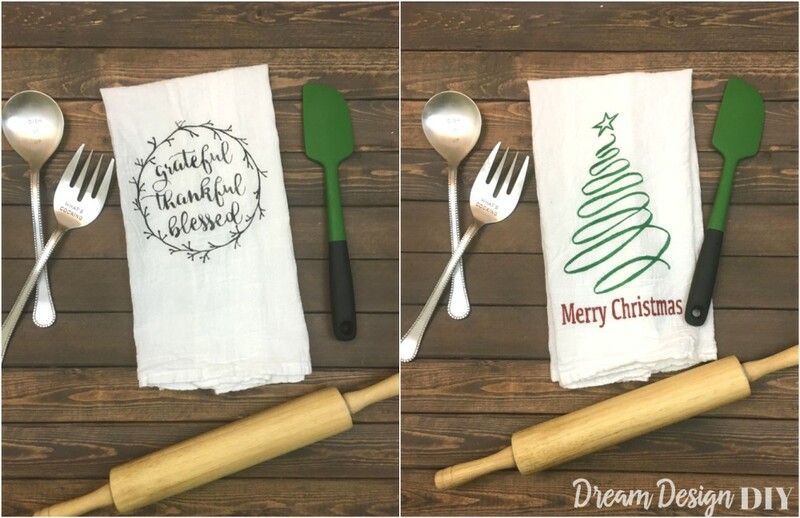 I love these DIY Farmhouse Kitchen Towels so I decided to make a Thanksgiving and Christmas Kitchen towel for the holidays as well. 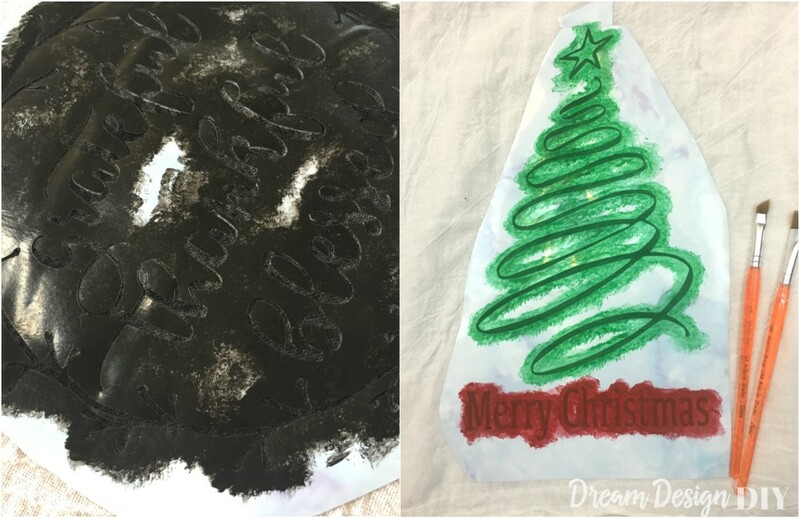 This is an easy project to add some holiday flair to your kitchen. 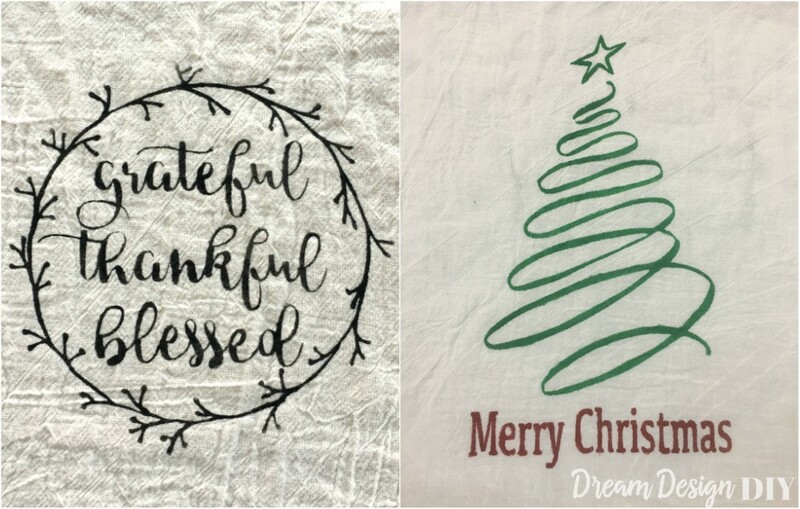 This Dual Decorating project works for both Thanksgiving and Christmas and it uses only one towel…a win win for saving money, space and time. Just fold it over and no on will ever know what is on the other side. *This post contains some affiliate links for your convenience. Click here to read my full disclosure policy. Step 1) I pre-washed and ironed the towels. They do shrink about 6 inches, and beware the wrinkles don’t all come out 😐 but that is the beauty of a flour sack towel. I created a stencil using my Silhouette Cameo. Then I applied the stencil and painted it. I applied 3 coats of paint. I created my towel so the graphics will be on the same side, so when the towel is hanging one graphic is visible and the other graphic will face the back and not be visible (see step 2 below). No worries if you don’t own a cutting machine. 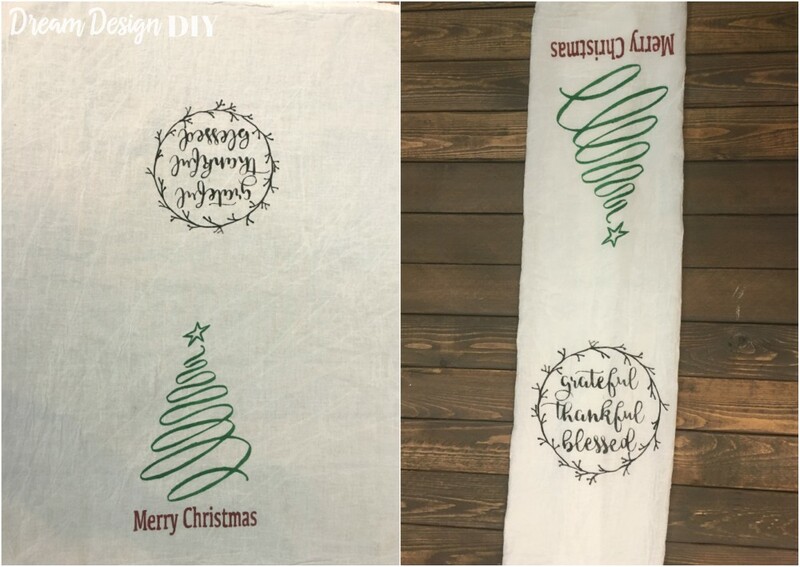 Print out a graphic, place the towel over the graphic, outline in pencil/marker, and fill in with paint. TIP – When painting stencils it is best to apply with an up and down motion vs. side to side. This helps prevent the paint from bleeding. Step 2) Remove the stencil. Here is what it looks like before hanging up. 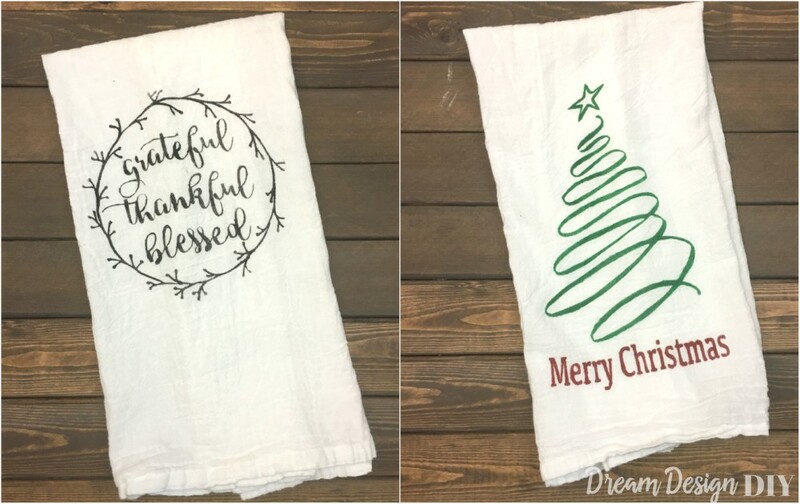 At Thanksgiving you will be ready for Christmas with just one flip of the towel.